Authorism is a Responsive Blogger Template. Authorism is portfolio and magazine style Premium blogger template. Ideal for designers. Authorism is fully responsive blogger template. It is stylish, portfolio and magazine style blogger template. Authorism has a flat design and less jequery used plugins template very ideal for designers and developers. Authorism template could help you in showcasing your work and online projects. 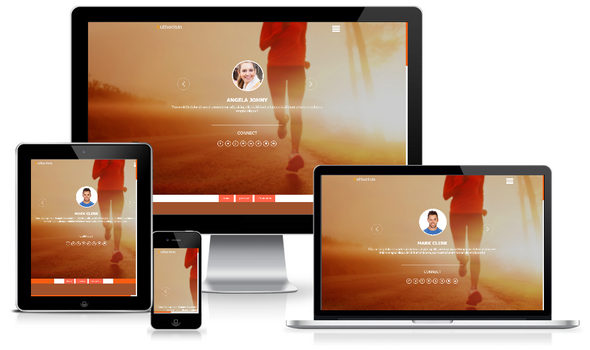 This theme is more faster than our previous DesignFlex template and has attractive design with awesome layout. One of the finest plugin you would like in authorism is its author’s slideshow, which would help to display random authors biography slowly you put in the template. 100% Responsive Layout: Authorism is another portfolio perfect responsive blogger template similar to our previous released DesignFlex theme. This theme would also display awesome resolution and perfect layout on every screen resolution like tablet, mobile, iphone, ipad and all mini devices. Authorism Layouts: Authorism comes with two different layouts. You can choose your desire template for your Blog. Both of them are included in the zip file. You can get this theme in any layout suitable for your blog niche only by contacting our team. Two of theme are here. Adopted From: Authorism theme is professionally adopted from WP theme. We found it on SketechThemes name as Convac and has been converted it from Wordpress To Blogger Template. We have received almost dozens of queries from our clients to lets convert Convac to Blogger. Jquery Slideshow: Authorim theme holds two professional slideshow. The first primary slideshow is integrated in the header section to display authors biography randomly while the secondary slideshow is located in the footer area to display client messages. You can put your desire photos and images by editing or call us to customize it for your blog. Contact Form: We have integrated a cute and professional looks contact us above the footer slideshow. This contact form would help to engage clients and customers of your blog with quick response. To make it dynamically send us your queries to make it perfect your blog. 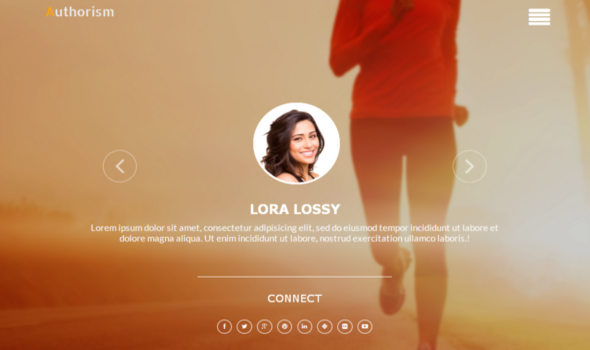 Portfolio Design: You can get responsive features slider along with Portfolio blog section. The blog section display maximum posts as default it would be better to display upto 9 posts. All these posts will be displayed according to the screen resolution. A very smooth jequery plugin is used to help in viewing the post in stylish mode. Liquid Navigation: With Authorism you can enjoy responsive liquid navigation menu located at the top of the site. This menu will slightly dropout while do clicking on it. You can put your own internal blog links in the menu. for more detail check documentation file. We Hope Authorism blogger template would be your next choice for your upcoming project and blog. This theme will help all blogspot users who are curiously looking for best responsive portfolio blogger Template. If you need more help, do not hesitate to send us your queries via contact us page.